To All The Boys I've Loved Before was probably one of my favourite contemporary releases of last year. It was absolutely adorable and effortlessly hilarious, but that ending had me begging for the next book. I need to know what happens to Lara Jean. I need to know if she ends up with Peter or if this mystery 'boy from her past' ends up being the one she chooses. I JUST NEED THIS BOOK ALREADY. Also, how gorgeous is this cover? All of Jenny Han's books have beautifully simple covers and I couldn't love them more. 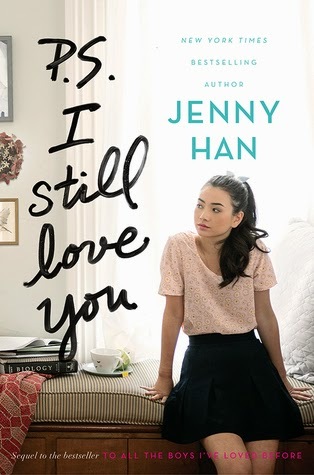 P.S I Still Love You hits shelves on May 26th. Ooh this sounds really interesting. I'm in a bit of a reading slump at the moment and I wish this was out now because I want to read it right away! Which trilogy? Burn for Bur or The Summer I Turned Pretty? I've read both and I rather enjoyed them, but I can definitely see why you may disagree. Have you read the first book, if not then I think that'd be the one to go for! And yes, I'm in a reading slump at the moment too. It's the worst. I can't bring myself to read anything and it makes me miserable! Ah I completely missed that it was a follow on from To All The Boys I've Loved Before, I'll try to hunt that down in my library. It's really beginning to frustrate me because I want to read but it's just not happening.